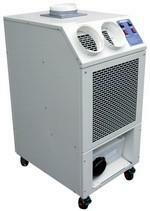 Powerful 23,000 Btu / 6.7 Kw cooling capacity. Twin 150mm ducted cooling outlets. Large 10 litre water drain tank. Heavy duty castors for easy repositioning. 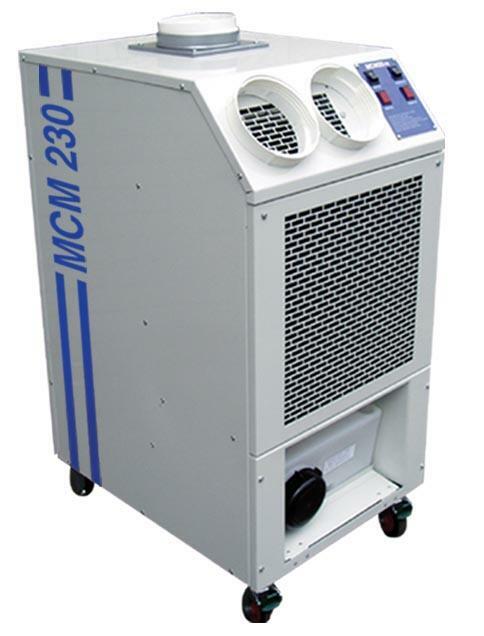 This commercial portable air conditioning unit the Broughton MCM230 delivers an impressive 6.7 Kw, 23,000Btu of cooling power. This industrial style model is ideal for applications such as computer rooms, hospitals, restaurants and office areas. With twin 150mm cooling outlets this unit can cool two areas simultaneously with the added benefit of running of a 13amp plug.